What the Hell Is Going on at the FDA With This Fox News Email Saga? A different FDA employee provided Gizmodo with a copy of the same email, which also included the name of the person who sent it. (We were unable to reach the sender.) The employee we spoke to, who asked we not use his name for fear of retaliation, said he noticed the switch to Fox News about two days ago. He added that the switch had become a “gossip item” among FDA employees. The email, he told us, was sent in response to questions from a number of employees about the switch. He also said that he noticed today that at least one monitor had switched back to CNN; a report in the Wall Street Journal included a similar claim. A number of other FDA employees in the CBER division reached by Gizmodo refused to comment. 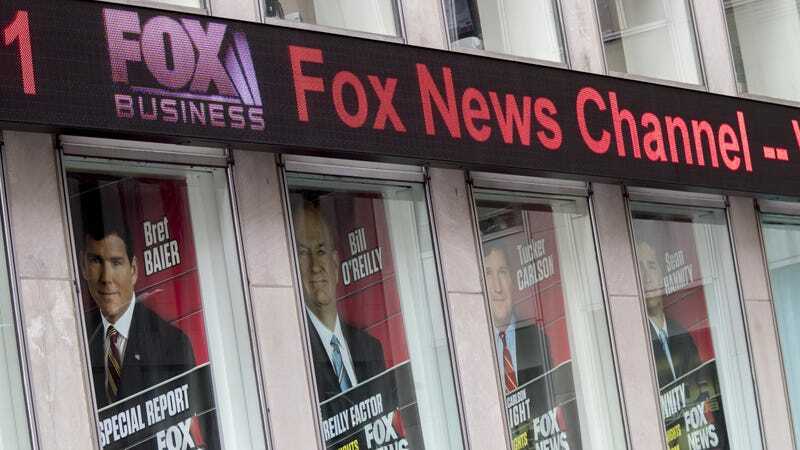 If true, the idea of mandating a certain TV news outlet should be played at a government building is kind of disturbing, but not outside the realm of possibility: We know Trump loves Fox, and just yesterday congratulated Fox & Friends for its ratings. It also raises other questions, however. Is it just the FDA? Are other agencies required to subject their employees to America’s Newsroom and Outnumbered? If you are an FDA employee and want to share more information about this with us, please do so: libby@gizmodo.com.